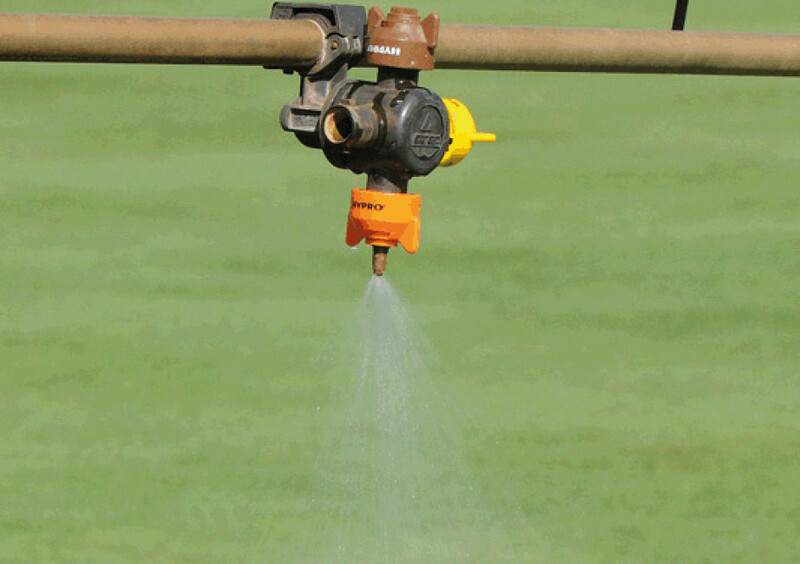 In part one of a two part article, Maxwell Amenity Technical Manager John Handley provides a brief history and analysis of the current situation surrounding pesticides. It is useful to define what we mean by the term pesticide. The Health and Safety Executive within the Code of Practice for Using Plant Protection Products define pesticides as: any substance, preparation or organism that is prepared or used for controlling any pest. The term Active Substance is further defined as any substance or micro-organism (including a virus), that has a general or specific action against harmful organisms or on plants, parts of plants or plant products. 'Active ingredient' is often used to mean the same thing. 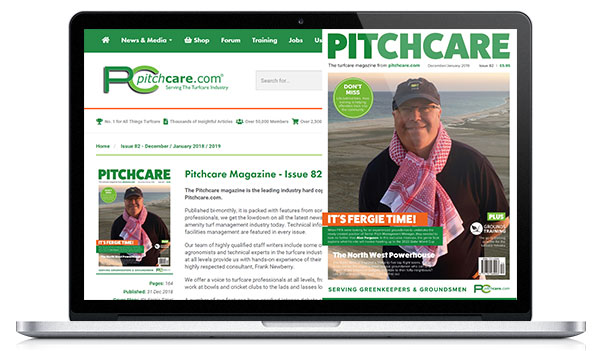 For most professional individuals working within amenity horticulture, i.e. 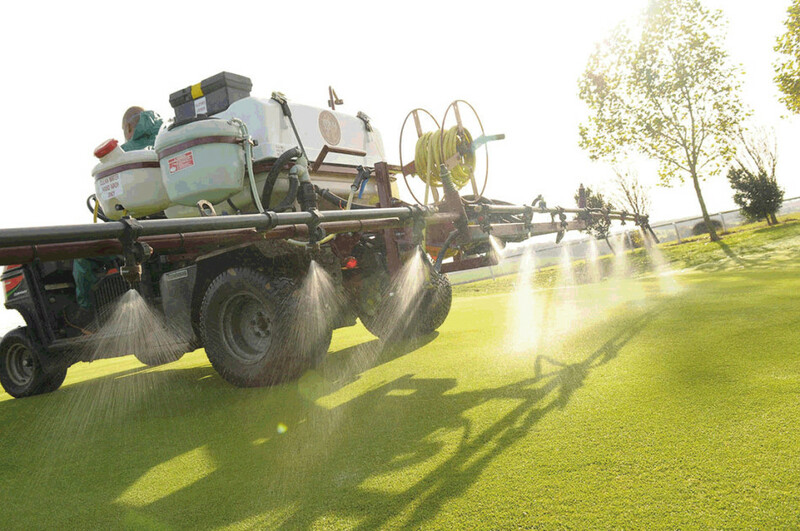 turf managers, who possess a pesticide application licence or are responsible for deciding how a site is managed, the term pesticide currently equates to the following broad categories: a herbicide, be it a total herbicide, e.g. glyphosate (Roundup), or a selective herbicide e.g. 2,4-D (Depitox); an insecticide, such as chlorantraniliprole (Acelepryn); or a fungicide, such as fludioxonil (Medallion). Changes in regulations have resulted in the loss of Active Substances brought about by the British government's adoption of the Water Framework Directive. Diffuse pesticide pollution is a problem for the environment, but it also presents a challenge for water companies managing treatment infrastructure to produce drinking water (Dolan et al. 2012). It's easy to become bored with the immediate situation derived, as it is, from directives, regulations, laws and legislation. However, with a little historical perspective it's easier to see past the regulations and understand the bigger picture and why things are changing. Our knowledge of the earliest forms of pest control, after the development of agriculture approximately 10,000 years ago, is limited to the evidence that has survived to the present day. Nevertheless, we know that more than 4,500 years ago the Sumerians were using sulphur compounds to control insects and mites, that 3,200 years ago the Chinese were using insecticides derived from plants and, by 2,500 years ago, had appreciated the role of natural enemies and the value of adjusting crop-planting times to avoid pest outbreaks, and that the Greeks and Romans understood the use of fumigants, mosquito nets, granaries on stilts, sticky bands on trees and pesticidal sprays and ointments - although throughout this period and long beyond, such sophisticated practices were accompanied by widespread reliance on offerings to the gods and other superstitions. The Chinese continued to develop their pest-control technology and, by AD 300, they were using biological controls, establishing nests of ants in citrus orchards to control caterpillars and large boring beetles. Meanwhile, the Europeans, after the fall of the Roman Empire, relied increasingly on religious faith rather than biological knowledge. 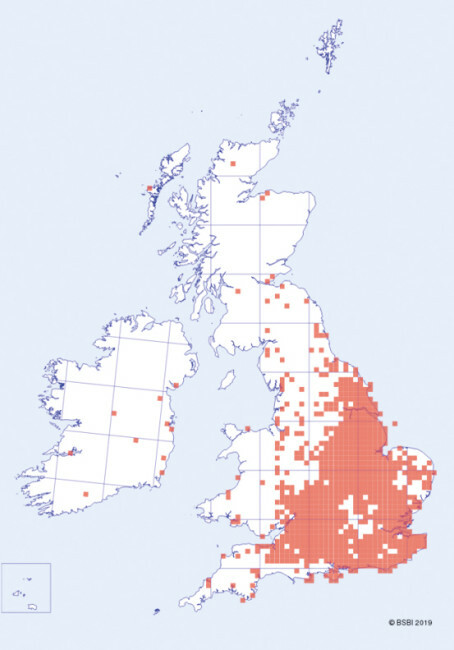 This decline was reversed by the Renaissance, and the 17th century saw an awakening of interest in biological control and the rediscovery and/or introduction into Europe of a variety of natural pesticides (figure 1). The period from 1750 to 1880 in Europe was a time of the agricultural revolution, but this brought in its wake some of the greatest pest-driven agricultural disasters ever recorded: the potato blight in Ireland, England and Belgium (1840s); the epidemic of powdery mildew in the grape-growing areas of Europe (1850s); the outbreak of fungus leaf spot disease of coffee, after which Ceylon switched from coffee to tea production; and the invasion from the Americas of an insect, the grape phylloxera, (Viteus vitifoliae), which almost destroyed the wine industry in France (1848-1878). Not surprisingly, over this period there was a surge of interest in developing pest-control techniques and, by the turn of the 19th century, there were five main approaches to the control of pests which were well established and in common use: (i) biological control; (ii) chemical control (inorganic chemicals, especially sulphur and copper compounds, or plant-derived alkaloids, especially nicotine); (iii) mechanical and physical control (e.g. tree-banding with sticky substances); (iv) cultural and sanitation controls (like crop rotation); and (v) the use of resistant varieties. The first forty years of the 20th century was a period of steady progress in pest control, in which all of these five approaches played an important part. Pest control was revolutionised, however (especially insect pest control), by the Second World War. Driven by the need to control insect vectors of human disease in the tropics, hundreds of manufactured chemicals were screened for insecticidal properties. In the USA, the breakthrough came with dichlorodiphenyltrichloroethane (DDT), manufactured in Switzerland, followed by other chlorinated hydrocarbons. In Germany, another equally toxic group of compounds was developed, the organophosphates, whilst a third group of synthetic organic insecticides, the carbamates, was also discovered in the 1940s, by Swiss workers. The initial targets of the organic insecticides were the vectors of human disease, but after the war there was a rapid expansion into agriculture. 'Their success was immediate. They were cheap, effective in small quantities, easy to apply, and widely toxic. They seemed to be truly 'miracle insecticides' (Flint and van den Bosch, 1981). During the 1930s and 1940s too, the first organic selective herbicides were being developed, originally as a result of work on chemicals to regulate plant growth: 2-methyl-4-chlorophenoxyacetic acid (MCPA), 2,4-dichlorophenoxyacetic acid (2,4-D) and 4,6 dinitro-o-cresol (DNOC). The immediate impact was on cereal crops and, to a much lesser extent, on peas and grassland. An expansion into a much wider range occurred from the 1960s onwards (Lockhart et al. 1990). The period from 1946 onwards has been described as the 'Age of Pesticides', divided by Metcalf (1980) into three phases: the Era of Optimism (1946-1962), the Era of Doubt (1962-1976) and the Era of Integrated Pest Management (IPM) (1976-). Whilst it would be easy to quibble with Metcalf's dating and terminology, this division captures the changes in the scientific climate over this period. In the heady days of the 1940s and the early 1950s, it was widely believed that generous doses of simple organics could entirely eradicate pests and the problems they caused. Doubts that had been voiced by entomologists Strickland (1945) and Wiggleworth (1945) were decades ahead of the publication of Rachel Carson's Silent Spring in 1962, which challenged the notion that chemicals brought benefits but negligible risks. These doubts grew steadily until the XVth International Congress of Entomology in 1976 firmly rejected the widespread use of broad-spectrum and persistent pesticides in favour of an IPM approach. Chemical pesticides are generally intended for particular pests at a particular site, nevertheless, problems arise because they are usually toxic to a broader range of organisms and also persist in the environment. The problem is made more difficult with chlorinated hydrocarbons especially, because of their susceptibility to biomagnification: an increasing concentration of insecticide in organisms at higher trophic levels, as a result of a repeated cycle of concentration of the insecticide in particular tissues in a lower trophic level, consumption by the trophic level above, further concentration, further consumption, and so on, until top predators which were never intended as targets, suffer extraordinary high doses. Figure 2 shows the process of biomagnification in the context of DDT. The DDT concentration is in parts per million. As the trophic level increases in a food chain, the amount of toxic build up increases. 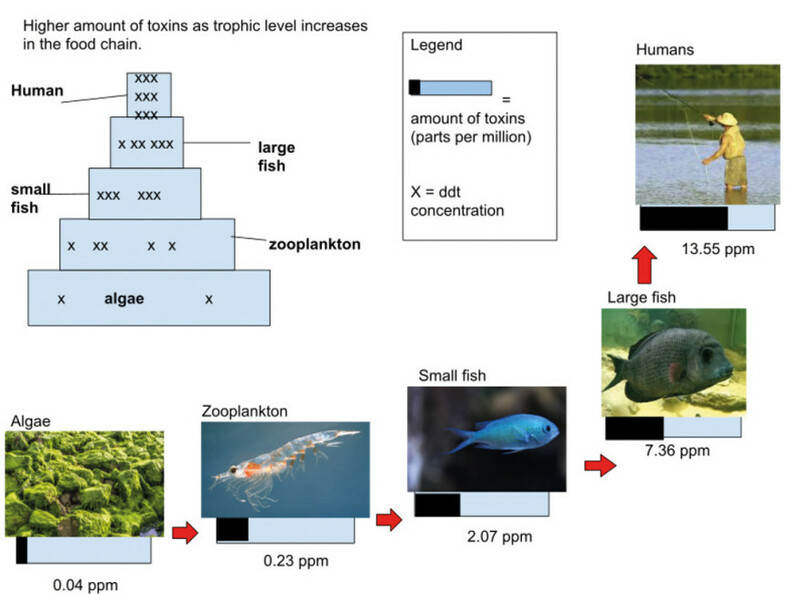 The x represent the amount of toxic build up accumulating as the trophic level increases. Toxins build up in organism's fat and tissue. Predators accumulate higher toxins than prey. The broadly toxic effects of herbicides have generally not been considered as great a problem as those of insecticides. One important reason is that many herbicides have a quite specific effect on plant physiology which has no exact equivalent in animal physiology. There are, though, a number of herbicides, for instance diquat and paraquat, which have high mammalian toxicity and where great care is therefore required in handling (especially in these cases there are no known antidotes). Furthermore, in the 1960s, a controversy began over the possible effects to human health of 2,4,5-T and 2,4-D, which were used in combination ('Agent Orange') between 1962 and 1970 to defoliate swamps and forests in South Vietnam. Of course, most weed-control practices affect a wider range of plants than the target species. The result has been the disappearance of many attractive ones that have never been serious weeds. Species such as wild delphinium (Delphinium ajacis), pheasant's eye (Adonis annua), corn cockle, (Agrostemma githago) and cornflower (Centaurea cyanus), have come to the verge of extinction in Britain and can now only be found in abundance in the peasant agricultural systems of Eastern Europe. Of particular importance are the effects of insecticides on the natural (arthropod) enemies of an insect pest. This, in itself, may not appear too serious, apart from the regrettable loss in the natural diversity of harmless species. However, it can - and often has - had two extremely serious consequences. The first, target pest resurgence, refers to the rapid increase in pest numbers following some time after the initial drop in pest abundance caused by an application of insecticide. This rebound effect occurs when treatment kills not only large numbers of the pest, but large numbers of their natural predators too (with any survivors likely to starve to death because there are insufficient pests on which to feed). Then, any pest individuals that survive (either because of resistance or good luck) or that migrate into the area, find themselves with a plentiful food resource but few if any natural predators. A population explosion is the likely outcome because the predator requires the pest to be present to support population growth, but the pest certainly doesn't need the predator. Another reason is tied into what makes a pest: they are likely to be able to reproduce rapidly when food resource becomes available and they have the ability to locate these resources, i.e. good dispersal ability. Hence, pests are likely to be good at resurging. When the natural predator cycle is broken, it is not only the target pest that might resurge. Alongside any actual pest are likely to be a number of potential pest species, which are not pests only because they are kept in check by their natural enemies. Thus, if a primary pest is treated with an insecticide that destroys a wide range of predators and parasitoids, other species may realise their potential and become 'secondary' pests. A dramatic example of this took place in Central America in 1950; when mass dissemination of organic insecticides began, there were two primary pests within cotton production: the boll weevil and the Alabama leafworm. Organochlorines and organophosphates applied fewer than five times per year initially had apparently miraculous results and yields soared. By 1955, however, three further pests had emerged, cotton bollworm, cotton aphid and the false pink bollworm. The application rate rose to 8-10 times per year. This reduced the problem of the aphid and the false pink bollworm, but led to the emergence of five further secondary pests. By the 1960s, the original two-pest species had become eight. There were, on average, twenty-eight applications of insecticide per year (Flint and van den Bosch, 1981). On a broader scale, changes in the overall pattern of weed infestation can be seen as an example of the outbreak of secondary pests. The herbicides in use until the 1960s, when they were selective at all, tended to be most active against dicotyledonous weeds. The result has been an upsurge in the importance of grass weeds (monocots), and the 1970s therefore saw the beginnings of a new drive towards the production of herbicides selective against grasses (Lockhart et al., 1990). The final problem is, in many ways, the most serious one of all. Even before the advent of the organics, occasional examples of resistance to an insecticide had been found. For instance, A. L. Melander in 1914 showed that scale insects demonstrated resistance to lime-sulphur sprays. Between 1914 and 1946, eleven additional cases were recorded. The development of organic insecticides, such as DDT, gave hope that insecticide resistance was a dead issue. However, by 1947, just one year later, housefly resistance to DDT had evolved in Sweden. The evolution of pesticide resistance is simply natural selection occurring more rapidly than usual and on a particular obvious character. Within a large population subjected to a pesticide, one or a few individuals may be unusually resistant (perhaps because they posses an enzyme that can detoxify the pesticide). If such individuals exist at the outset, resistance can begin to spread in the population immediately; if they arise subsequently by mutation, then there will be a lag in the evolutionary response before this chance event occurs. 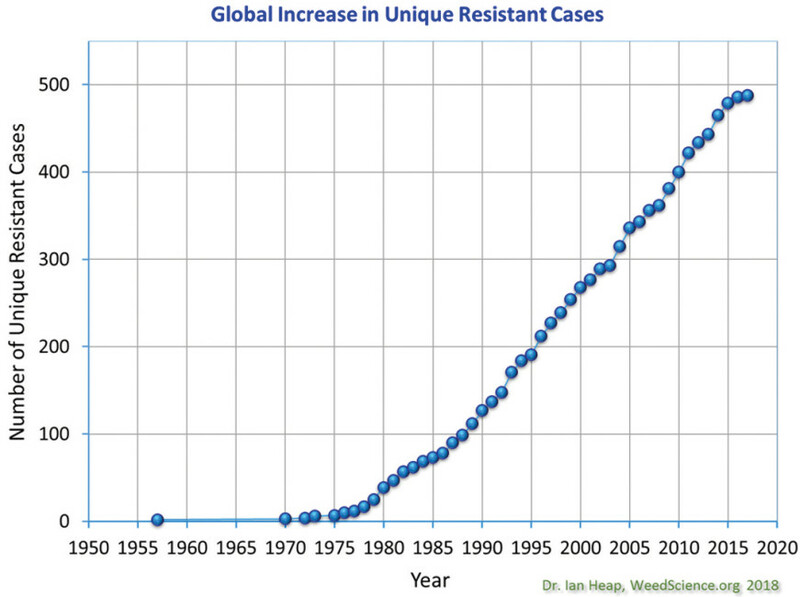 In either case, the resistant individuals have an improved chance of surviving and breeding and, if the pesticide is applied repeatedly, each successive generation will contain a larger proportion of resistant individuals (figure 3). One answer to the problem of pesticide resistance is to develop strategies of 'resistance management'. This consists of two approaches; reduce the frequency with which a particular pesticide is used, thus depriving the pest of a series of generations over which resistance may evolve. This may be done by using a range of pesticides in a repeated sequence, especially when they have different target sites or modes of action. The second strategy is to ensure that pesticides are applied at a concentration high enough to kill individuals heterozygous for the resistance gene, since this is where all the resistance genes are likely to reside when resistance is rare. Thus, together, the problems of resistance, target pest resurgence and secondary pest outbreaks have frequently met with a predictable but, in many ways, regrettable response: the application of more and more pesticides, leading to further resistance, further resurgence and further secondary pests, and so to more pesticide, more problems and more expense; what has become known as a pesticide treadmill which managers can find difficult to get off. Whilst these problems exist within the amenity sector, e.g. 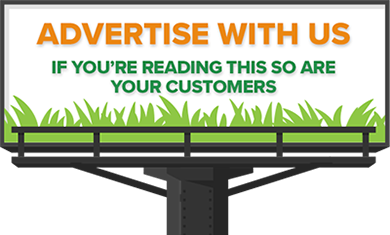 fungicide resistance within sports turf, our concerns are dwarfed by those of our close relative, agriculture, where there is a greater understanding of these problems, because there has been a greater reliance on utilising pesticides to provide cheap food for growing populations. Talk to any cereal grower in the south east about Blackgrass (Alopecurus myosuroides), and they will be all too aware of the strategies that are continually changing in order to maintain reasonable yields (figure 4). 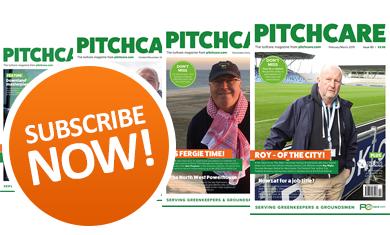 Much of the discussion around pesticides throughout this article has been focused on agriculture, with good reason: it is as a result of changes or innovation within this sector that utterly dictates the agronomic approach to pesticides within the amenity sector. 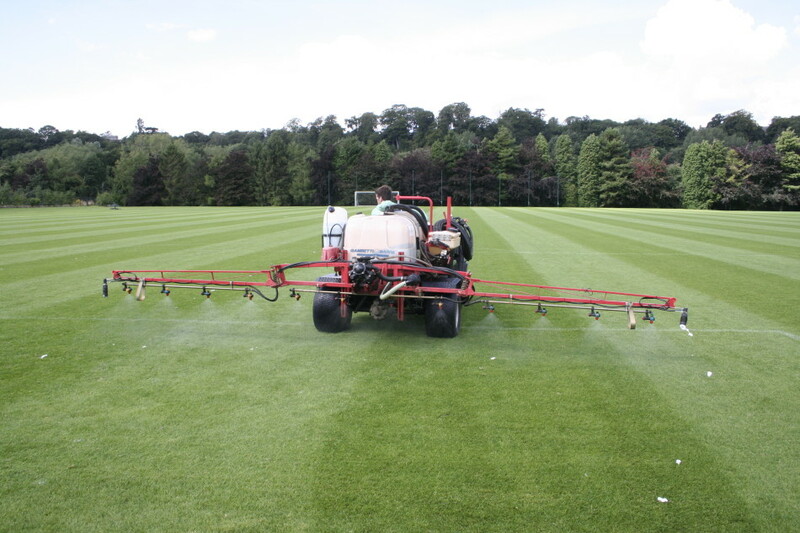 However, turf managers currently have just one insecticide available to them - Acelepren - that will hopefully be provided Emergency Authorisation once again this year. This product is also administered via stewardship, clearly indicating an increased level of control is expected to maintain the availability of this product for the foreseeable future. Pesticides have provided distinct benefits and, until now, the pesticide manufacturers have managed, broadly speaking, to keep at least one step ahead of the pests. Pesticides themselves are being used with increasing care. Many are now used as an integral part of a more varied armoury. In spite of the steadily rising costs of pesticides - the result of increasing complexity (rising development and production costs) and of oil price rises, the cost/benefit ratio for the individual facility has remained in favour of pesticide use. Pesticides have also worked, in the past at least, as disease control agents. For instance, the chlorinated hydrocarbons, despite all their attendant problems, have saved at least seven million lives since 1947; or, to take one specific example, more than one billion people have been freed from the risk of malaria (Miller, 1988), although, since 1970, malaria has made a remarkable come-back, owing in large part, to the insecticide-resistant strains of mosquitos, leading to an increased emphasis on possible biological control measures. There are also particular situations where the cost/benefit ratio is loaded especially heavily in favour of chemical pesticides by social circumstances and human attitudes. For instance, customers in richer countries have become conditioned to demand that their foodstuffs are unblemished. This means that pests have to be eradicated rather than simply reduced to a level where nutritional, rather than aesthetic or cosmetic harm is negligible. In summary then, the case in favour of chemical pesticides is that they have worked in the past, as judged by objective measures such as 'lives saved', 'total food produced' and 'economic efficiency of food production' and that they are continuing to do so as a result in advances in the types of pesticide produced and the manner in which they are used. We have also seen though, that many of the disadvantages of chemical pesticides - widespread toxicity, secondary pests, resistance, escalating costs - are undeniable, such that the case for chemical control can only ever be one in which the advantages are shown to outweigh the regrettable disadvantages. These disadvantages are also, and perhaps most significantly of all inherent, i.e. newer and better pesticides may postpone or reduce the effects of these disadvantages (although potentially at increased cost e.g. Acelepryn vs the organophosphate alternative chlopyrifos - Cyren), but they are most unlikely to overcome them. The question, therefore, is whether or not there are alternatives to replace or use alongside chemical pesticides, and that will be the subject of a subsequent article: pesticides of the future. Flint, M. L. and van den Bosch, R. (1981) Introduction to Integrated Pest Management New York: Plenum Press, pp. 240. Lockhart JAR, Samuel A & Greaves MP (1990). Chapter 2: The evolution of weed control in British agriculture. In: Weed control handbook: Principle. 8th edition. Eds R J Hance & K Holly. Blackwell Scientific Publications, Oxford. pp 43-74. Metcalf, R. L. (1980) Changing role of insecticides in crop protection. A. Rev. Ent. 25, 219-256.